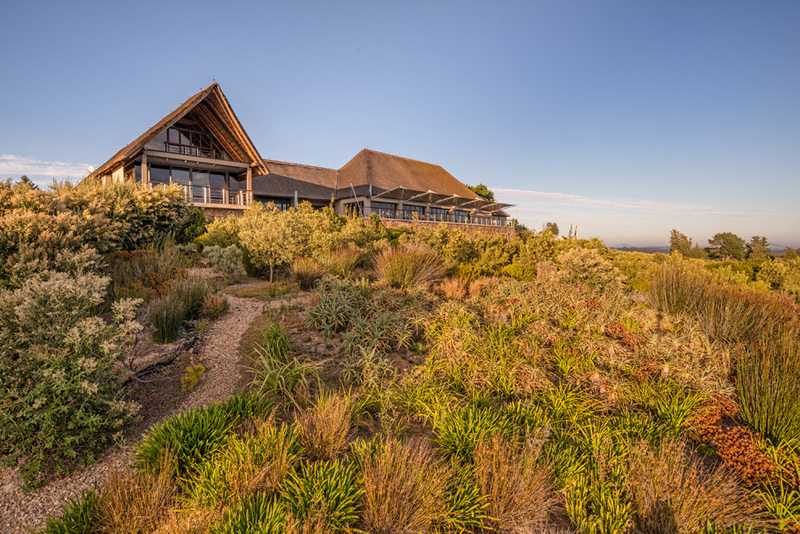 The shaded terrace deck at Restaurant @ Glen Carlou looking out over the vista of vineyard is the perfect spot for an Autumn lunch. Tension Structures installed 5 adjoining architectural umbrellas over the deck offering respite from direct sunlight for diners. Off their new menu try the Lamb Neck served with mint sauce, peas, yoghurt, heirloom carrots, thyme polenta fries for R135.00 recommended with the Gravel Quarry Cabernet Sauvignon. Or for a lighter mains, the Honey and Black Pepper Mozambican Prawns with goats cheese tortellini, burnt butter, raisins and pine nuts for R130.00 recommended with The Curator’s Collection Viognier. Read their full Autumn Lunch 2016 menu. Pierneef à La Motte named in admiration of South African artist Jacob Hendrik Pierneef (1886 – 1957) offers lunch on their shaded terrace alongside a bubbling brook embraced by tranquil gardens and majestic oak trees. Tension Structures installed a fabric structure over the restaurants outside area with an oak tree right through the middle; as well as gazebos over the decked terrace. 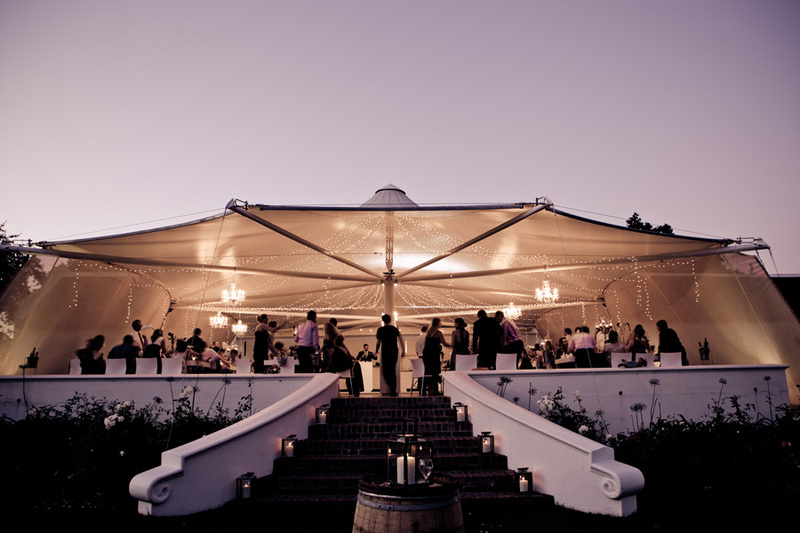 While we didn’t install an umbrella at Vrede en Lust but a ceiling for their wedding venue, Lust Bistro & Bakery was too good not to include on our list. 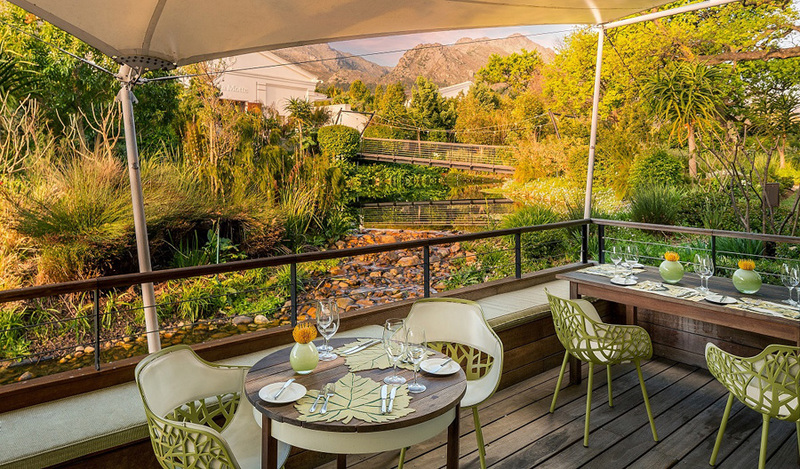 Enjoy a Sunday buffet from 12pm – 3pm available every Sunday and most Public holidays from 12pm to 3pm, with a variety of dishes from the kitchen and wood-fired oven. They also have an a la carte menu available for remaining opening times. 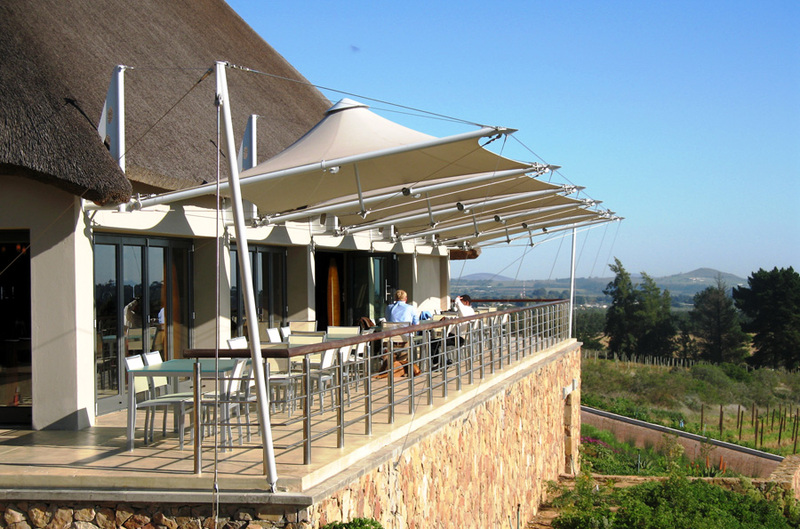 Read more about Tension Structures’ architectural umbrellas & gazebos at www.umbrellasandgazebos.co.za; and look out for the next article in the Under the Umbrella series.